I just ordered this carburetor, the Dellorto 20 20 and spotted on the invoice that it didn't have an oil pump, so it got me wondering if this means that it doesn't support autolube? My Super 150 does have autolube and I'd like to keep it. Hmm, I'm wondering if the no oil pump means that the carb isn't for for stroke bikes? In the scooter foot section out did list my scooter. If it is the wrong carb at least it wasn't too much money. 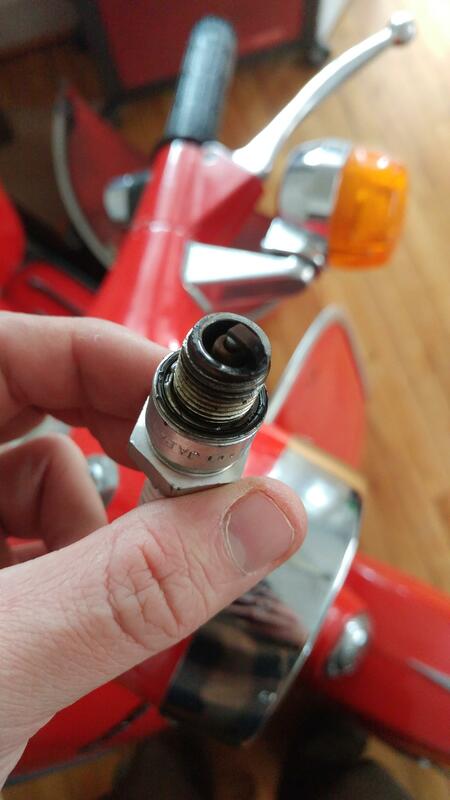 Yep, wrong carb for your particular scoot. Late model US Supers, like yours, came with autolube standard. In other years and in other markets pre-mix was standard, with autolube as an option. 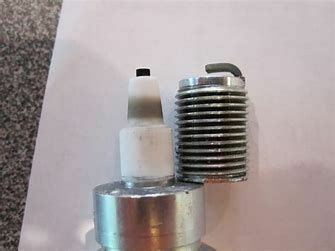 You can use a non-injected carb on an autolube bike but it requires disabling the oil pump, which I wouldn’t recommend doing. You’ll need an air filter too. Thanks again SoCalGuy, you're a real life saver. SIP appears to be out of the air cleaners I need. Guess I'll have to look around some more for it. Edit: Nevermind I found the correct air filter. I cancelled the other carburator but it looks like it already shipped. Hopefully the return process won't be too much of a hassle. Thanks again guys, glad I caught it early on. Hopefully I can get this together before it gets too nice out. Hey all, do both carbs came in and I honestly can't tell the difference between the one with the oil pump and the one without. The only difference I can tell is that the one with the oil pump has the same hook to the throttle as my old 20 15 carb. It looks like the oil pump is kind of its own thing? Unless I'm getting this wrong that is. Here's a photo of all of the carbs. 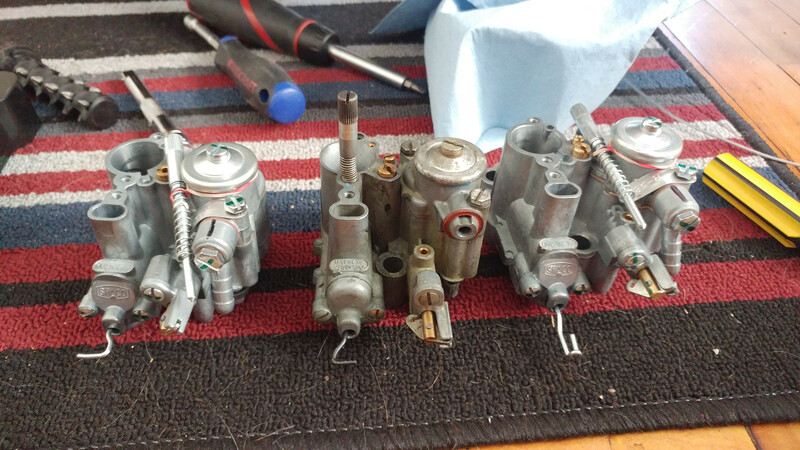 The delorto with the oil pump is on the far left, my old carb is in the middle, and the carb without the pump is on the far right. Anyone care to school me on what the difference is? The carb is FOR a carb box with oil pump. It will have a different pull for the slide (on the left in your photo) and a hole in the base near the venturi for the autolube pump and channel to connect to. Oh alright thanks. Well I got it together but it isn't adjusted or anything. Anything I should do before firing it up? Everything appeared to go together nicely except for the brass screw in the back that pokes out of the carb box. That needed to be taken off and screwed on after I bolted the carb in. Wouldn't you know it, it was a 7mm bolt and that's the only socket I don't have on me. But anyway I got it on but it still probably needs to be tightened. Anyway, anything to do before firing it up? 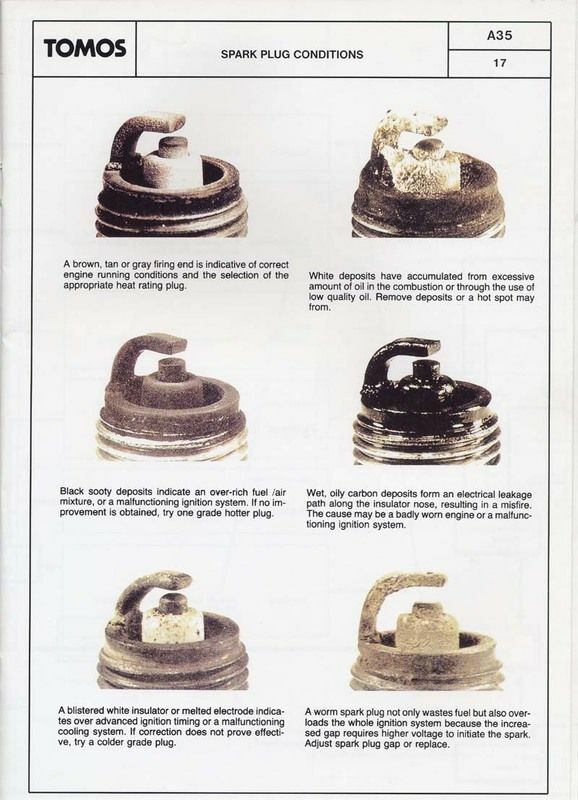 Confirm the jetting is the same as your old carb. That is assuming you haven't made any changes to the exhaust or cylinder? You didn't say why you were replacing the carb. Also, search the forum for a how-to on adjusting the idle air screw in the back. That's the long brass screw you mentioned. On carbs with the long screw, I cut a slot in it so I can use a screwdriver to adjust. I'm using the jetting that the new carb came with for now. Mostly I just want to make sure it's working right before I move onto the exhuast. That slot on the screw is a good bit of advice though, I might just copy you. Alright good news, it started right up and even seemed to idle alright on this cold as hell day. Probably needs an adjustment After I put in the new exhuast but I'm pleased with it. 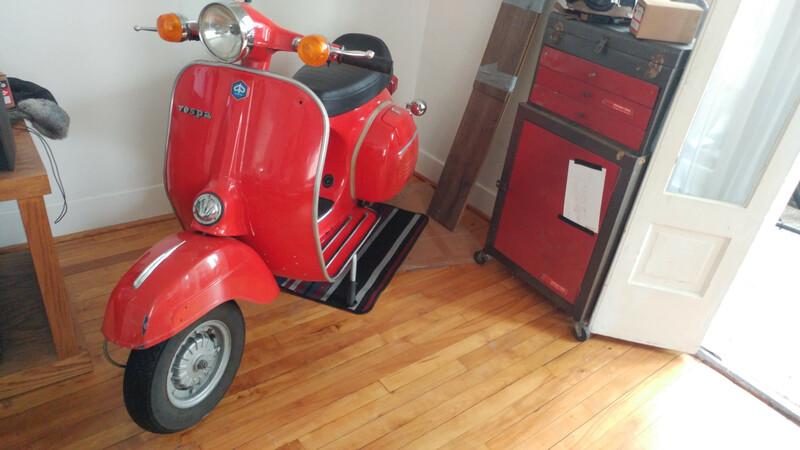 Thanks for the help primavera, what size jetting would you suggest for a stock cylinder, SIP road 2.0, and SI 20 20 carb combo? Other people know better than I, but I believe the SIP Road 2.0 bumps your main jet up a couple points. I didn't think about the fact that you are bumping up from a 20-15 to the 20-20. What jetting did the 20-20 come with as compared to the 20-15? The SIP Road is going to require bumping up the main jet and then plug chopping to get it right. I'm not sure what the 20 20 came with, but I bought a set of jets that run from around 100 to 120? By chopping the plug you mean drilling into the heart shaped groove on the air cleaner right? By chopping the plug you mean drilling into the heart shaped groove on the air cleaner right? Nope. "Plug chop" means getting a view of the plug electrode at full throttle to see how lean/rich you are under high revs. Run the bike at the top of the rev range in second or third (third will probably be do-able ion a Super). After a few seconds at full throttle/max revs, push the kill button and coast to the side of the road. 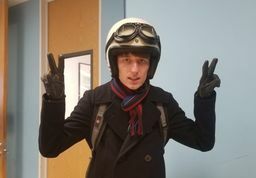 Pull off the cowl and plug cap. Remove the spark plug (it will be HOT! Use a glove). Technically, it involves cutting the body back and looking at the ring at the base of the insulator. Sorry for the absence, the polar vortex put me into hibernation. Next week might be warm enough to test out the plug. 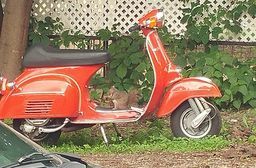 I've ridden my super a little since tweaking the carb and it seems to run pretty good, but has an ever so slight hesitation in the middle of the rev range. I haven't drilled out the heart on the air cleaner yet though. Otherwise no stalling, and good power. Not really a massive increase over stock that I can tell though. I'm running a 102 jet right now too, as I was advised to run between a 100 to 105 jet. Alright this is what I got. I didn't run it for too long but I did hang it at nearly full throttle in 3rd gear for a few blocks. The color of the tip of the plug looks pretty good. But I'm wondering if it's really right because I barely touched the air fuel screw after putting the carb together. And I kind if think it's unlikely I just happened to get it right on the first try. Otherwise the Super runs good, although with the new carb it feels a lot harder to restart the engine when it fuel starves while rolling. Maybe I just need more practice. Oh and the idle is pretty touchy. It needs to be adjusted more often now depending on the weather. Looks a little rich but OK.
Yeah I can do more pics, I do see what you mean though. It runs good for being rich though. It's not bogging down today. Excuse the apartment pictures by the way, my super lives inside with me. I recently bought that same carb from SIP for my PX150E with Auto lube. It comes with 48/160 idle jet, 100/160 main and BE3 air corrector. It was very time consuming to get it to run right with the stock exhaust. 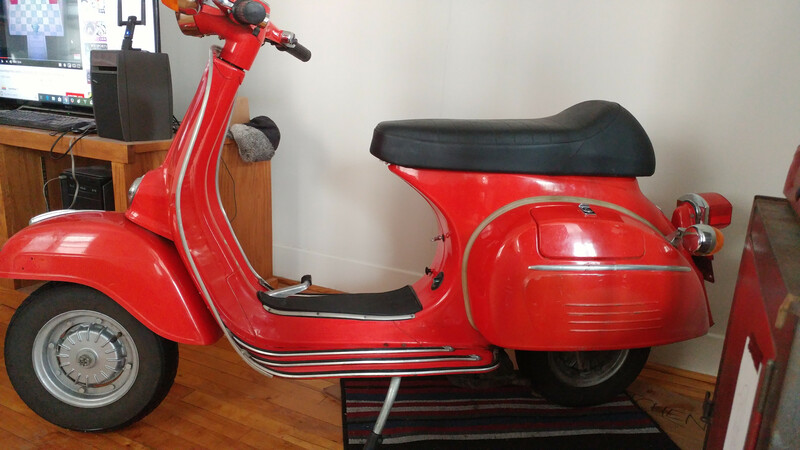 Since my original Italian Dellorto never gave me problems, I initially tried my original 42/140 idle and 100/150 BE5 main and it ran much, much better. I have now just reverted to the jets it came with, and with 1.5 turns out of the mixture screw, it is about 95% perfect. My plug (NGK B7ES) burn looks just like yours, but I think it wants the next hotter size B6ES to burn more efficiently. By the way, I love your Super! It is my favorite large frame model, and I am looking for one myself, but they seem impossible to find. Hey thanks!, I got a pretty good deal on it too. I'm the second owner, the previous owner died in the 1980s, so it wasn't run for a while, so it's only got 3400 miles on it right now.